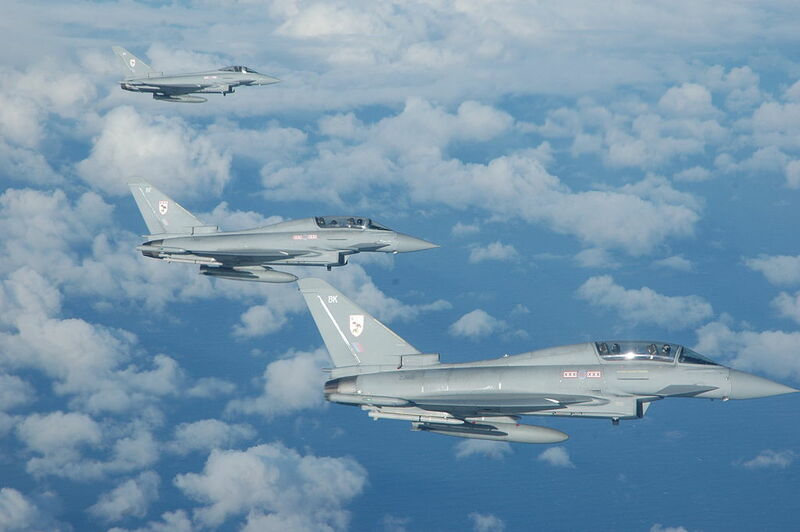 The Royal Air Force (RAF) will retire 16 two-seat Eurofighters in a bid to save $1.13 billion in operating costs. The plans to dismantle the aircraft and harvest spare parts for use on the remainder of the Typhoon fleet were revealed to Jane’s on Jan. 29, 2018 by RAF Air Command at High Wycombe, in Buckinghamshire, in response to a Freedom of Information (FOI) Act request. The project, known as Reduce to Produce (RTP), aims to generate GBP50 million worth of parts from each airframe “back into the supply chain”, according to the FOI data. Currently RAF two-seat Eurofighters are operated by 29(R) Squadron the Typhoon Operational Conversion Unit (OCU), which is responsible for the technical and tactical training of all engineers and pilots for the Typhoon aircraft. The Typhoon provides the RAF with a highly capable and extremely agile multi-role combat aircraft, capable of being deployed in the full spectrum of air operations, including air policing, peace support and high intensity conflict. Currently the aircraft is in service with 7 air forces and has been ordered by two more. The Typhoon has demonstrated, and continues to demonstrate, high reliability across the globe in all climates. It has been combat proven during operations in Libya, Iraq and Syria.